The spotlight section provides a more detailed description, pictures, and information about a specific item in my collection. I'll try to update this regularly, but I'm not quite sure what the frequency will be. I will be covering a wide range of items, including hardware, software, manuals, and magazines. An H-89 with it's CPU board replaced by TMSI's H-1000 board showed up on ebay. They wanted $500 or best offer. After letting stay on ebay for more than a month, I offered $200, and it was accepted. Details and pictures of the H89 with H-1000. A very interesting H89 showed up on ebay, with two unique disk controllers, a unique memory board, a modified power supply, and the Kres backplate. The system did not power-up, but even though I already have several H89s, due to the unique boards, I ended up buying it for $200, including shipping. Full details of the repair and restoration of this H89. 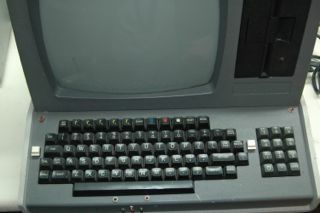 H89 with DG Super-89 and a Cleveland Codonics Graphics card. 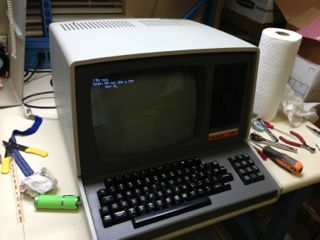 H89 with MMS 128k RAM board running CP/M Plus. H89 with MMS soft-sectored controller + a bunch of extra unique items. H19 with Northwest Digital Graphics card.